It’s official! Frame By Frame Style is on Instagram. 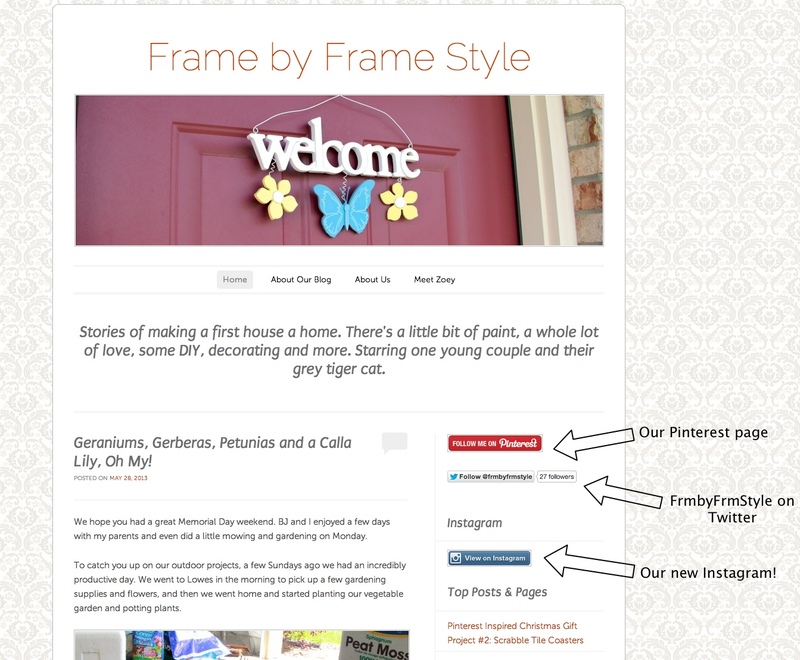 You can also follow Frame By Frame Style on Pinterest and Twitter! Check out the panel to the right of this post to find all the ways you can connect with us. This entry was posted in Inspiration and tagged Instagram, Photos, Pinterest, Social Media, technology, Twitter by Frame by Frame Style. Bookmark the permalink.